The table below represents the market for DVD's. For each of the changes given, tick the relevant column to show whether the demand curve has shifted either left or right or whether there has been an extension or contraction of demand (a movement along the demand curve). 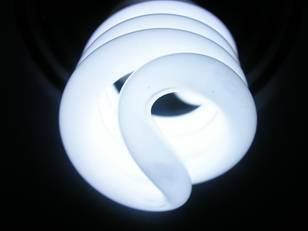 Energy saving light bulbs can be used to replace conventional light bulbs. At present energy saving light bulbs are significantly more expensive to buy than normal light bulbs and the light takes several minutes to reach full intensity. If the above demand curve is the demand curve for energy saving light bulbs, which of the following events may have caused the shift shown? Which of the following would you regard as substitutes for a laptop computer and which may be complements? In each case consider whether they are 'close' complements or substitutes.